Description: Beautiful, unique four level home, with a spacious, highly functional floorplan! This home possesses a vaulted, multi-window addition built in 1999! The remodeled Kitchen includes a huge 3' x 8' Silestone-top island, stainless steel appliances with two ranges! Located in the Staples Ridge Development at Oak Glen Country Club, this is one Stillwater home you HAVE to see! 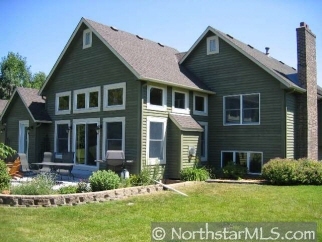 A fantastic location that has a "remote" feel yet is close to all of our modern conveniences.